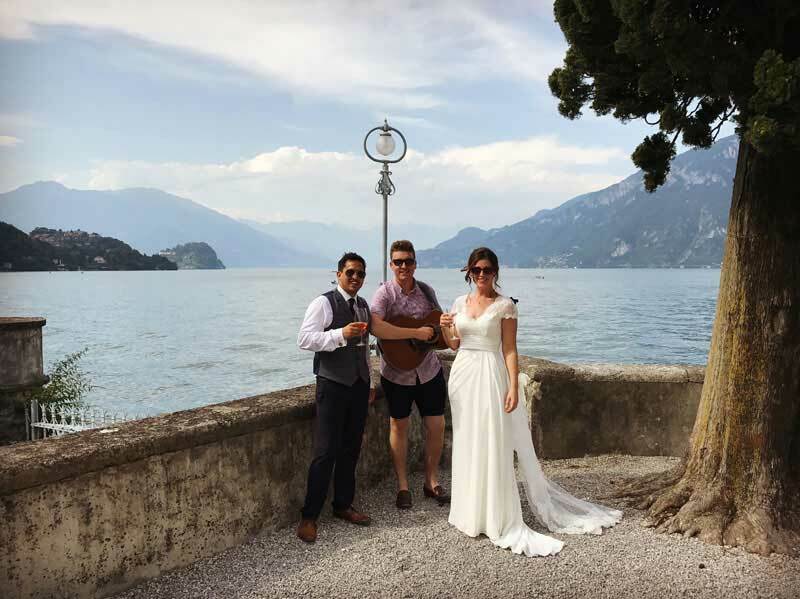 It is always a great pleasure and privilege to be asked to sing at a wedding, and this was especially true in July when Jess and Nik Sanyal asked me to travel to Lake Como in Italy and play for them. I’m accustomed to performing at weddings in Essex, Hertfordshire, Suffolk, London and other parts of the south east of the UK – this was a lot further afield so it was a real treat! Having live entertainment, and specifically an acoustic guitarist and singer, was high on the Sanyals’ priority list. It was my job to sing during the wedding ceremony and afternoon drinks reception. 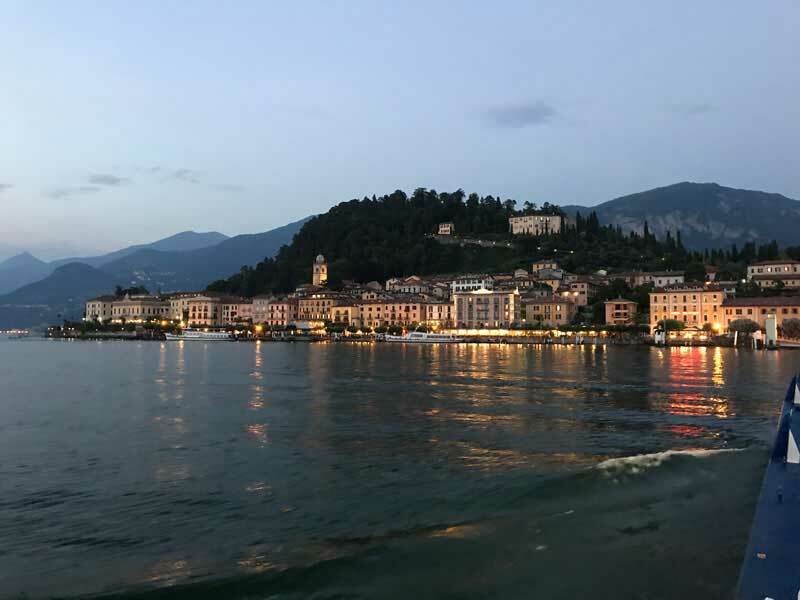 I had to use a variety of public transportation to reach the wedding in Bellagio, including a ferry across the lake. 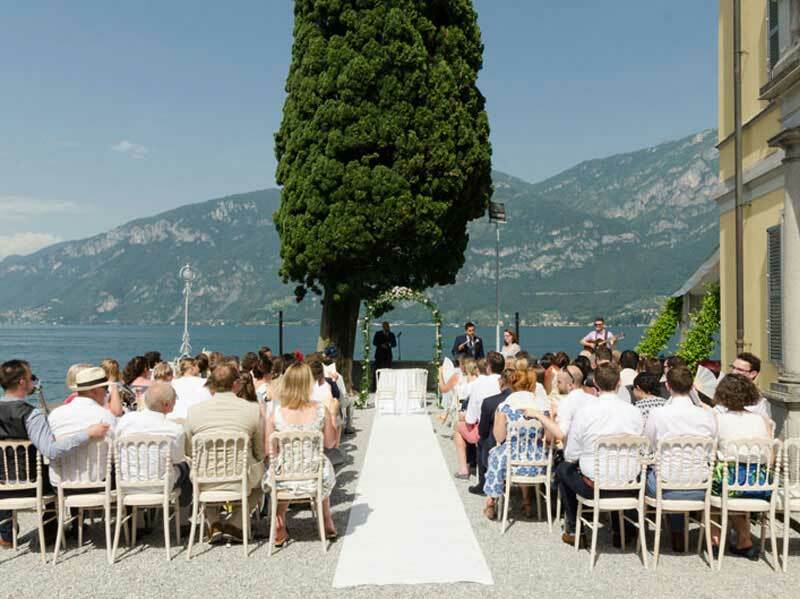 Jess and Nik chose a picturesque setting for their wedding in Bellagio, Lake Como, Italy. I started my travels on the Friday. Laden with guitar and luggage, I arrived at Stansted airport in Essex and flew to Milan Bergamo. I’d booked a seat for my guitar, which was a first, so I had two boarding passes to take care of, and my guitar even got his own special seat belt. I then caught a bus, three trains, a ferry and walked on foot too before I reached Jess and Nik and their lovely family and managed to get my hands on a glass of prosecco! 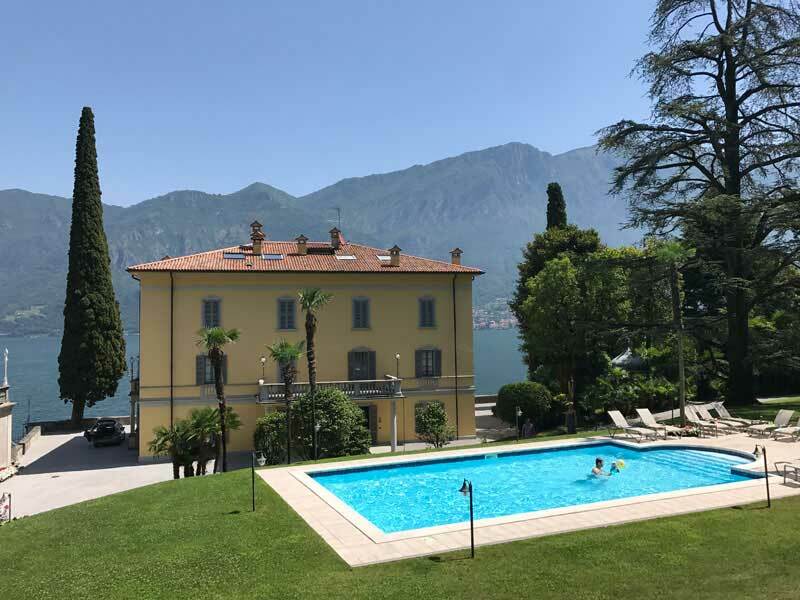 The couple chose to get married in Bellagio, a stunning spot on the lake. After a morning of sound checking and then chilling out in the pool (it’s a hard life being a wedding singer sometimes!) we got changed and prepared for the wedding ceremony. It was a sweltering day in the mid to upper 30s, and for the ceremony I was facing direct sunlight. The DJ actually had to mop my brow at intervals while I performed (I was probably being a diva at this point). Jess and Nik had hired a dedicated sound tech who brought the necessary equipment along. Logistically this was a huge help. The team made sure everything was sounding great and I could concentrate on doing the best possible job for the couple and the wedding party. Jess looked absolutely beautiful as she came down the aisle, and had chosen for me to sing Grow Old With Me by Tom Odell as her bridal procession music. This was a great choice, and the track almost made my top 5 acoustic wedding singer tracks of the year. I also played during the signing of the register and the couple chose a piece of pre-recorded music for when they exited the ceremony as husband and wife. I then played during the afternoon reception while guests enjoyed drinks and canapés, although as we were in Italy this section of the wedding is referred to as ‘aperitivo’. I got chatting to a lot of Nik and Jess’ family and friends. They are a lovely bunch. As the day progressed, quite a few of the wedding party decided to jump into Lake Como. I decided that it would be best to observe from the sidelines! It was a pleasure to be invited to Italy to perform for Jess and Nik Sanyal. It was a baking hot ceremony and the setting was picture perfect. Performing at Nik and Jess’ wedding was a really special treat, and proved to me that while it is not straightforward performing at overseas weddings, the results can be spectacular. Contact me here for tips with planning live music on your wedding day. Looking for an acoustic wedding singer in Essex, Herts, Suffolk or London? Feel free to ask me any questions about your big day. Remember that I can take requests in advance – view my repertoire here.